Breakthrough Corporate Training provides professional corporate training services designed to give you the best possible outcomes. We will custom-build your corporate training so that your training event successfully delivers the results you desire. To help us target your training needs, we would appreciate you completing the following survey. At the end of the leadership training survey you will find a brief introduction to each topic as a guide. Part 1) Assessing the leaders on Your team. Please do an honest evaluation of the state of the leaders on your team. 1. How approachable are your leaders? 2. The leaders on our team are values based, servant centered relational people who have courage and strategic focus! 3. Are your leaders REALLY invested in the company's values and mission? 4. Our leaders are an enriching part of the company's culture! 5. Our leaders are focused, strategic and they drive performance! 6. How effectively do your leaders inspire, engage, encourage and coach their team? 1 being very ineffective and 10 being very effective. 7. How effectively do your leaders communicate with their team members? 8. How effective are your leaders communicating to their team members in their communication styles? 9. How easy is it for team members to get help from your leaders? 10. How comfortable do team members feel with voicing their concerns to their manager, supervisor or leader? 11. How relational and transforming are your leaders? 12. What is your general evaluation and assessment of your leaders? Part 2) Choose the leadership topics that would be the most important for your leaders right now. Leadership development must be based on sound leadership principles and an understanding of the leadership process. In this seminar we unpack “what is leadership?” and help participants sharpen their understanding of their leadership role. We distinguish the difference between leadership and management and explore the various levels of leadership. This training also helps participants grapple with how they can develop their leadership ability, and become an influential leader. Most organizations rise or fall according to the quality of the leadership being provided and therefore this seminar is crucial for most businesses. This training unit helps participants understand why visionary leadership is one of the keys to a successful organization. Effective leaders need a vision of what they want to accomplish. The leader’s vision gives focus to the allocation of time and resources within the business. In fact, what is needed is “double vision” – the leader needs a personal vision and leaders need to also help the team they are leading discover a vision. This seminar addresses how leaders help the people they lead discover and implement a vision for their organization, or they help them implement the vision that has already been adopted. Great leaders know where they are going and they have the knack for persuading others to follow them. Leaders are always moving toward a desired future. Exceptional leaders also develop a personal passionate "life-vision" broken down into short and long term goals and priorities. This seminar helps participants shift from a mindset of having to do everything themselves to understanding the power of delegation. Effective leaders learn the skill and power of delegation for peak performance and for the organization to thrive. Delegation is one of the most important leadership skills a leader develops. Some leaders believe that delegation is doing everything you can and then giving away what is left over, however, the opposite is actually true. Delegation involves giving away as much as possible to empowered team members, and only doing what remains. While this sounds good to most leaders, delegation is nevertheless a difficult skill to acquire, and requires training and development. Every organization will go through seasons of change and transition. Whether it is a change of policy, location, vision, roles, or mission, transitions are inevitable and often difficult to traverse in a healthy way. This seminar will help your business navigate transitions in a way that maintains the alignment of all stakeholders in the midst of change. While essential for businesses, this seminar also has wider application to help people understand the personal transitions we all must navigate in life, and how to transition for a better future. Every leader will face obstacles as they seek to influence others. Problem solving skills are therefore essential for effective leadership. Business life rarely runs smoothly and the challenges faced must be tackled and solutions found. The good news is that problem solving skills can be acquired by every leader. This seminar provides a matrix of problem solving methodologies and trains participants in effective problem solving strategies. Poorly managed conflict costs businesses millions of dollars every year and yet many businesses do not have an effective conflict management protocol in place. This hands-on training experience will equip participants in a communication model for conflict management and help the organization adopt a working Conflict Management Protocol. Conflict management training is offered in a 2-hour module or a one day module and is recommended as a high priority for every business. It is crucial for the success of any organization that leaders acquire the skill of setting priorities – doing the crucial things first. The Pareto principle states that 20% of our priorities give us 80% of our productivity. Therefore, it is important to the success of any organization that staff devote their time and energy to the top 20% of their priorities. This seminar helps leaders examine their priorities to ensure that they focus on the key tasks, and trains staff to set and follow through on what is most important to the business. All successful people have daily habits and rituals that set up their day for success. Effective leaders start their day early with habits that empower their day. This seminar helps leaders commit to adopt and commit to a daily routine that has the overflow effect of increasing their productivity and effectiveness at work. Learn the proven strategies to become a confident and influential leader. We will bring you through our very own Total Confidence Leader Blueprint. In this training, you will learn where you are at with your confidence and how to gain the confidence that you need to become a high performing leader. You and your team need to have all star confidence in your personal and professional life! Not every business decision will be successful and some business strategies will fail. How do leaders handle failure and disappointment? This seminar provides a proven track for recovering from disappointment and re-visioning leaders for a successful future. The tools unpacked in this seminar while helping leaders move forward within the business sphere, will also help leaders in their private lives. This compact yet powerful learning experience is tailor-made to address the unique needs of your team. Your team will grasp it’s potential to be effective and how it can breakthrough to achieve team objectives and targeted outcomes. The workshop uses interactive exercises along with examples from experienced trainers to equip team members in healthy team functions, communication, and how to leverage interpersonal differences to build a cohesive team. Team training comes in a 2-hour module or a 1-day module. Led by an experienced, results-oriented facilitator, the workshop is fun and meaningful. Participants receive a workbook to help them maximize the learning experience, with follow through ideas for applying the training. We recommend combining this core workshop with the half-day High Performance Team Building workshop to create a lasting and impactful day of team development. Collaborative skills have never been more important to businesses. Leaders and staff members cannot afford to be defensive, hostile, or even cynical. How leaders and staff relate to their colleagues, customers, and other stake holders is crucial to the success of every organization. This seminar trains participants in 5 essential skills to overcome defensiveness and build supportive relationships. With practical exercises to increase self-awareness along with great tools for building collaboration, this one day seminar will help leaders become more effective at work and at home. This training module unpacks the power of alignment. Alignment links the 5 key elements of an organization – people, process, customers, business strategies and leadership to achieve breakthrough results. Alignment helps organizations re-establish focus and sustained energy, and helps ensure everyone is on the same track toward a single shared vision. Servant leadership is characterized by the setting aside of personal gain, making sacrifice for others, and placing the needs of others above the direction we may prefer for ourselves. We have all met people who are career minded, people whose main motivation is to lever themselves into a position where they will gain some reward. This is the complete opposite of servant leadership. Servant leaders seek the success and transformation of others, and in so doing become successful themselves. This training module helps participants understand the power and importance of integrity in their private life and in their business relationships. A leader may have outstanding abilities and impressive credentials and be an exceptional visionary and delegator, but without integrity their life will collapse. They may be able to motivate, organize and take a team or organization forward, but the character of a leader is always more important than gifts and skills. In this training, participants will be able to recognize if someone is credible. Integrity has to do with developing a powerful relationship with our word, and participants will be able to assess their personal integrity as well as mapping out a way forward to be leaders with integrity. Many leaders forget the “Trust Factor” when they seek to lead, but without trust, leadership is very limited. This training module shows participants how to develop trust in their relationships and links very closely with the integrity module. In an increasingly busy and pressurized world, many people experience burnout and high levels of stress. It is important for all leaders to adopt a great self-care ethic and practice. This seminar will help participants design a personalized program for their own self-care and will help them adopt strategies for rest, “recharging their batteries,” boundary setting, and overall well-being. Peak performance of employees is linked to effective work/life balance. This training module helps participants understand the power of hope. Without hope organizations cannot thrive or survive. Hope is our engagement with the future and vital to life and growth. Yet, there are many obstacles to living a life of hope. This training will help participants develop strategies for overcoming the obstacles that often cause hope to and progress to be lost. The Breakthrough Corporate Training methodology for coach training involves an emphasis on hands-on experience through practice sessions, role plays and working on real life issues faced by those undertaking the training. We will train your team and leaders: Foundations of a Coaching Mindset, Developing a Collaborative Coaching Relationship, Active Listening, Powerful Questions, Presence, The Coaching Process, Goal Setting, Action Plans and more. Your Leaders will become equipped with Coaching Skills. Add your email address here. Each of these Principles are important for any organization and leader to aspire towards because they will make you and your team so much better in so many ways. The Return on Investment by having a team operate with strong vision, leadership, character and self governance principles is substantial. 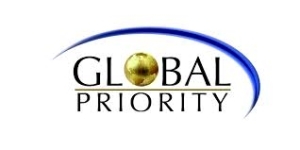 As a certified Global Priority Values and Principle Trainer, Scott Epp and his trainers are equipped to help you and your team grow with any or all of these universal success principles. From the survey above, here are the 40 topic/principles that we can include workshops on during our corporate training. A character of successful people is their endless ambition. They are known for their hard work and are always concerned about getting things done. Ambitious people don’t take it easy during the good times; they rise early and start their days with a good attitude and a grateful heart. Opportunities follow the hardworking, ambitious, responsible people that have a positive attitude. They know that things don’t just happen, so they are out to make them happen. Some of the crops that we may get in having this principle in life is that we will discover opportunities with their positive thinking and diligence. Many opportunities are said to come to the ambitious people. They will also have a sense of satisfaction from doing their best and getting the most out of life. People will invest in them because of their energy, positive attitude and drive to accomplish things. They will also have a productive life and fulfill their goals. So, let’s live a life with AMBITION! In Webster’s Dictionary, “Attitude” is defined as a posture, one’s mental state of mind, or one’s disposition. Furthermore, we hear a lot about having a positive mental attitude. Attitude is one’s disposition, good or bad. So, when we meet someone, we can easily determine what state of mind they are in by their attitude. The right attitude, the positive approach is something that we can create as a result of developing the right mind-set. Being positive is more than just saying or repeating a verbal formula like “I am positive” or practicing rituals of meditation or relaxation. Common sense is sound logic, sensible reasoning or simple equations. The end result is practical wisdom. No family, business or nation can survive without common sense as a part of their planned strategies. Common sense will suggest change or adjustment as you proceed. Some of the benefits that we may get having a common sense are the following; we stay alert to the changes in the world and we will get prepared to adapt to change in the way we do things. We will also detect gimmicks and over representation of products. Lastly, we become known for a practical mind and good logic. Life was not intended to be complicated. If we separate ourselves from common sense, simplicity can disappear and then we get lost in confusion. There are those who think that life should be completely without conflict, but behind every remarkable man or woman there are stories of great conflict. Conflicts can make us better people or make us angry at life. We can be humble and thankful and allow it to improve our character and teach us a lesson or be critical, haughty and arrogant. It is not wrong to have conflict and we shouldn’t be afraid of it. If we have a good attitude during conflict we will learn other people’s perspectives to problems. We will also discover our own strengths and weaknesses. Dealing with conflict requires creativity, reason, and discernment to overcome and resolve the issue. When we accept that conflict will always exist, we will have a better approach and outlook towards those that we are in conflict with. We may also grow and progress as a person and become problem solvers rather than complainers and whiners. And, if we have the right attitude toward a conflict we will avoid wars and preserve and even improve our relationships. Conflicts become confrontations when we say unkind things, raise our voice or become aggressive with our expressions. But there are some advantages that we may get on proper managing confrontations. 1. Learning to manage confrontation teaches us how to respond to situations, this is a great advantage. When we respond in a calm and peaceful way we are letting people know that we have information and that we are sure about our position. Successfully managing confrontation will maintain good relationships and keep communication open. It is not about winning at all costs, when a discussion develops into an argument an aggressive attitude may have us believe that we won the fight, but the truth is we only win when we maintain good interaction and keep communication open. Handling confrontation properly will keep us humble. Learn to be comfortable saying we don’t know or we are not sure. No one knows everything and admitting that in front of others is a key aspect in having great communication. Dealing with confrontation will train us to see the other point of view. “You may be right,” or “That’s an interesting point” can disarm the situation and your point will be more easily accepted as well. Correction may be defined as punishment intended to reform improve or rehabilitate. We could also say that it is the ability to remove what is wrong to preserve what is right. This fear of punishment is not the best or most important motivation, but it is an immovable, hard fact of life. The sooner we embrace it, the better off we will be. The fear of correction that hurts must be rooted in the back of every mind. The rules must be fair and just, but when they are broken it must hurt mentally, physically and financially. There is a price that goes with doing what is wrong. Accepting corrections may allow us to remain firm in our principles for fear of the cost of violating them and motivate us to obtain better tools and grow personally to do a better job to avoid the penalty. It is also important to keep in mind that correction creates value. The rules need to be equitable and just and when they are broken they should bring pain in some form. If there are no penalties the rules lose their value. This principle may be difficult to understand because we are taught to help those who are in need. It is especially difficult when it is a close friend who is asking for a favour. Banks and lending institutions are created for people who have needs; it is their business. Co-signing violates many common sense principles. First of all, each of us should take responsibility for our own debt. In many cases, the person who asks for co-signing has not been faithful or responsible to the bank, family or others; otherwise the person might not be in this situation. By saying no to co-signing, we may be doing a favour. We will need to give the reasons why we are saying no, but this serves as an opportunity to help them see things from a different perspective. We may build a lasting relationship rather than lose a friend if they are not able to pay. If we give them money as a gift with no obligation to repay, we earn the right to be heard and may be able to speak into their life, helping them make different choices to get what they want. Some people think that all criticism is just a negative approach to things. If you learn from criticism you will earn position with great men, if you reject criticism you will damage your own interest. To say that all criticism is wrong is the same as saying that we cannot bring correction to anything; that is not common sense. Nobody likes a critic, but we can learn from them. What they say may be true, so we should always be open to receive. Be grateful for the critics. In fact, it takes courage for someone to tell us what they think. Furthermore, criticisms may give us some advantages, it allow us to gain good judgment. If we value the truth over the personality presenting it, we are able to judge the criticism as viable or not, we become wiser. We can always learn from criticism whether it is done well or not. And most important is we become good listeners and are able to analyze the information. If we keep an open mind we then value the critic, understanding that there is an opportunity to better our actions and build more significant relationships. This principle is focused on well managed debt and shows how to facilitate relationships with others. Although borrowing is not considered a positive thing, it does have value if we have the right attitude and act responsibly. It will force us to grow, and we will in turn learn many valuable lessons. It takes discipline to repay our debt or return what we have borrowed in a timely manner and good condition. This helps us respect each other and our need for establishing good relationships. Learn to work with and depend on one another, whether it is family, friends, community or employment. Some benefits on considering this principle, debt will keep us aware of our relations with others, making us responsible for our actions. It will create discipline as we pay off our debt first and delay our wants. It will keep us from being proud and arrogant. It creates a sense of satisfaction and self-worth when a debt has been paid in full. Dependability is one of the building blocks of quality relationships; this means that you have the reputation of doing what you say you are going to do. If you are viewed as a dependable person, it is because you are known to be trustworthy and reliable. There are numerous advantages that we may get for being dependable; you will earn the trust of others. This is an essential factor for lasting success in any relationship, personal or business. You will earn the respect of others. They will come to believe in and rely on you and this will increase your value to them and bring you additional opportunities. Lastly, you will create a positive environment. When people realize they can depend on you, it will inspire their confidence in your abilities. People will want to work with you because they know things will get done. To develop means to become gradually fuller, larger or better. It can apply to anything such as people, products or attitudes. Life is a process and we are all involved in developing physically, mentally and spiritually. We are not born developed, but we are all born with a potential to develop. There are some benefits that we may gain in developing people. In developing people, we create the right environment which will benefit our family, business or organization. It also creates a culture in which we benefit. Taking the time to develop others will secure their future, which in turn affects ours. We can enhance peoples’ lives by having a right environment for them to develop in; they grow and mature into their full potential which brings us great satisfaction. prepared to change. Sometimes we want to change others rather than change ourselves. Direction is primarily for those who want to go somewhere. We all get somewhere, some unintentionally and others with a planned strategy. To arrive is not the only goal, but also how we travel this path of life and sustain ourselves once we get there. By having a direction in life, we take positive steps. The principles show us the way. Freedom from guilt takes away our confidence. Guilt not only destroys our edge in business but also in our lives because we lose our direction and then begin to doubt ourselves. When people see us guided by good principles they gain confidence in us, we will also feel fulfilled. We know where we are going in life and what we are doing, that produces joy in our lives. We have a goal and we are truly happy when we reach it. We don’t cause difficulties by doing something wrong that will cost us. Sticking to the principles will keep us from complicating our lives. Lastly, It brings great personal growth. The process of life is like going up a set of stairs, we go step by step following the order to go up. If we don’t use the principles at each stage in our life, we won’t find the next step and we will lose our confidence. We can’t keep going up without a firm foundation on the current and previous steps we have taken. Our behaviour is directly affected by our emotions, so in order to rule our behaviour we must control our reactions. Ruling our spirit is not always easy because it is what we really are. Everything that we hear, see, smell, taste or touch is entered into our mind. It analyzes the situations and recommends a response. We then decide to react or respond, affecting our emotions and in the end our behaviour. Ruling your emotions means deciding to discipline or manage your responses. Emotions are good and necessary to our daily life; they energize our convictions and actions. Apply it to what you know you should do anyway: love others, spend good quality time with your family, tell the truth and be transparent. Emotion is like gasoline, so don’t start your trip in life without a tank full. They will energize you for great achievements. The principle of forgiveness is probably one of the most rewarding principles we can experience in our lives because it has a major effect on our health and well-being. When we forgive we walk towards the future with all our energy and strength. Forgiveness liberates us from the past and the present and leads us to the future. We will also enjoy better spiritual and emotional health. Not forgiving makes us obsessive about the past and the future and makes us sick. We make wrong decisions when motivated by revenge. When we forgive, we will have a productive and happy life. We will be able to relate to others. Having healthy relationships helps us to have more beneficial lives. People who practice forgiveness have freed themselves from emotional burdens and guilt because they are able to forgive themselves and receive forgiveness from God and others. And, practicing forgiveness frees us from hate and bitterness. This is the true measure of perfect and complete forgiveness. Generosity means giving and forgiving; it is considering others as you would want others to consider you, it is going the second mile. It is a spirit or attitude which is a part of one’s character. But what can this principle bring to someone’s life? When we are generous, we are actually generating our own reward. Giving of ourselves implies the highest form of generosity. We were not born just to serve ourselves, generosity starts with the way we look at others and value their potential. It is also important that we develop generous citizens for they are the hope of our society. If we understand generosity, we understand it is not just giving people a fish for a day, but we teach them how to fish, so they can feed themselves for a life time. As a conclusion, the principle of generosity is giving of our time, talent and resources to serve others. What would be the benefits of having “goals”? Having goals in life can give you an exciting life and future because we are accomplishing things and can see the progress we are making from our decisions and actions. Goals give us more control of our life because we are firmly holding on to our dreams and future. Lastly, after overcoming difficulties we will feel like we are winning and expect success. “Motive” is defined as the reason behind our action or for the action; this is also identifying our goals and purposes in life. Everyone is motivated by the satisfaction of our desires, and moved by powerful impulses or passions. Unfortunately, many of those hidden impulses are self-seeking, and they get us to manipulate others for our own benefit. Here are steps to follow for a better “motives; First is to be transparent, make sure everyone is clear about the things that are said, done and felt. This effort will help us to be more authentic and truthful and will make us more consistent and real to others. We also need to learn to read people. Listen not only to their words, but also to their hearts, this is how we can discern deceit or manipulation. Understand there are consequences with every decision and make sure the decision is in agreement with what is right and ethical. And lastly, Desire to be morally correct. Our goal should be to strengthen our character. “Hard work” may be considered as one of the finest qualities we will find in a person. It is what leads success to our lives, our communities and our nation. Good, hard workers are always concerned about the quantity and quality of their work. They become valuable to any organization or company because they are productive and finish what they begin. The mindset of a hard worker concentrates on the GOAL; they look for ways to get it done faster and better. Hard workers consider their job as an opportunity to learn more and increase their abilities not just for a salary. Those who work only for money will never be completely satisfied, since a check will never be enough. Hard work is a personal quality and it will flow through us to impact our communities and our nation. It is in direct relationship to efficiency, quality and intelligence. In order to change yourself, take this principle and make it a habit to add value and develop your character. If you want a good future, be a hard worker. Trespassing is to go beyond the limits of what is morally correct, or to transgress, or intrude beyond the pre-established parameters. Since trespassing means going beyond the limits, then there must be parameters or boundaries to live by. If the boundaries are not clearly marked, we may trespass and not know it. If we expect people to treat us fairly, we must first be fair ourselves. To do this, we must have proper boundaries established for those around us by evaluating our expectations with other members of the team; make sure they are not too high or unrealistic. Keep our limits wide enough to provide freedom of action. Be clear about your expectations and time limits; be precise when dealing with new ways and new possibilities of doing things and be moral while you are establishing, applying and enforcing boundaries. So to live a humble life, we must admit it when we are wrong and recognize it publicly, avoid pride and never hide your faults, excuse or lie. Let’s inculcate in our minds that “Humility” will bring about character. This may appear to be a contradiction but humility requires great courage. Influence is primarily about character, behaviour and personality, which is really who we are. Often our actions don’t match who we say we are. It is the job of our character to control our behaviour and make us a “brand name.” Your brand speaks for itself. Influence is usually gained by where we have journeyed in life and what we have achieved. The values and principles we have followed throughout our life will determine if our influence is negative or positive. As you influence the people around you, you make a difference in the world. You will also have the opportunity to inspire others who can take things further than you did. And you make things believable for those who are following you. Inspiration comes from dreams. To foster inspiration, we must create an environment where minds can dream and work freely. We channel the inspiration by providing boundaries that become the framework or guideline for creativity. Here are some action plan for having the principle of “Inspiration” in life; (1) Write out your vision. Keep it simple. Include specific groups that will benefit from your dream. (2) Share your vision with others. Make sure everyone who depends on you or your organization knows and understands what it is. (3) Live your vision. Convey your dream in what you do and what you want to achieve. (4) Give incentives. Good leaders offer excellent incentives to help others to achieve their dreams. This will cause people to be more self-motivated and need less direction. (5) Fight for it. Over comers never surrender. Those who surrender never overcome. Proper judgment is one of the most appreciated characteristics of a leader. This quality is not obtained and then maintained; rather it is based on insight into each situation or person on a daily basis. Right judgments can be made only when we can see into the heart of the problem without our personal interests and feelings getting involved. That is not always easy because with every situation there are personalities involved. Having right judgment can allow people to have confidence in us if we have a reputation of judging things honestly, others will be honest with us. This is a cycle that repeats itself, making it easier to get to the truth as people feel safe enough to be transparent as a result of our example. We will avoid impulse buying and costly mistakes by practicing good judgment. Facts should not be ignored because facts mean the state of things as they really are, or reality. Facts in the form of data are the accumulation of information that takes us closer to reality. Facts and data do not necessarily describe total reality. If we don’t have the facts we may be failing and not know it until it’s too late to recover. Some of its benefits include the ability to design a better plan, function more efficiently, and project certain behaviors and their consequences. No one has ever started a business or an organization knowing all the facts. Nevertheless, before planning, it is important to get as much information as possible. We will also come closer to reality and be able to make better decisions based on good, sound, accessible information. Lastly, whatever we build, we must build on truth. Facts bring us closer to the truth and this becomes a solid foundation on which to build and work towards the bigger picture. To listen means to make an effort to hear or pay attention, to give heed or to take advice. The proverb says a wise man will hear. This is saying that if we are wise, we will be good listeners. The reason wise people listen is because they know they learn more by listening. Wisdom is not an inherited gift; rather it is acquired through paying attention when listening and learning by observing and taking the time to understand. Listening can make us wiser and able to focus on the message without judging or comparing, and are able to respond in a helpful way. We will also be known as a good listener and earn the right to be listened to in return. And lastly, we will discover the needs of others. Webster defined morality as principles, standards, or habits with respect to right or wrong conduct. It is a key component in the success of any society. Without a moral guide that regulates behavior, individual self-control will not exist. Without a moral standard a society cannot function properly. Having this principle in life is important and can give enormous advantages. People with good morals are transparent, they have no problem looking people in the eye, and their conscience is quiet. They don’t feel guilty or uncomfortable when talking about a code of ethics or morality. The commandments and the universal principles teach us how to build good relationships with others and how to create and sustain a society with good morals. Understanding and living in accordance to the principles is not a matter of religion or ideology, it is simply about building a healthy life and society. When we live and structure ourselves and our societies upon these universal principles we do ourselves a favor because life is valued and we respect our fellow man. Society benefits greatly when its citizens follow these moral codes. Life isn’t complete without ownership; everyone is an owner of something. But what benefits does ownership give you? Ownership is gratifying. Owning something produces the incentive to steward it. Entrepreneurs enjoy the responsibility that comes with ownership. They are satisfied and love their work. Owning a business necessitates personal growth. It’s not easy, and you will have to be prepared to deal with your employees and your competitors. It will require you to work hard, face your problems and stay flexible which creates character and strength. To stay competitive you must develop new ways of doing things and, as a result, change the culture and environment. As you become successful you generate richness and prosperity for more than just yourself, your employees benefit as does society as a whole. This is very rewarding. Patience is not procrastination or delaying an obligation; it is waiting for the right time. In the appropriate moment we will achieve better results and avoid many difficulties. If we are not patient, we can become arrogant and oppressive and we will not stimulate or motivate people. This can be expensive, and we will pay the price for our lack of patience and all we may receive back is opposition. Patience is being able to discern the right time to act. This is a true gift of the wise. Never let a problem hold you hostage, always deal with it. Some of the benefits of being patient is that we will learn to wait until we know that we have the right attitude because it is very important that we find a solution, not just deal with the problem. We will also be emotionally prepared before we give correction or directional changes. We will learn that practicing patience gives us the ability to identify the right time to act or sort out situations and we will learn to distinguish whether we need to act or to wait. We will develop self-control and lastly we will create security and peace to those around us. It is important to know the distinction between stress and pressure, stress is stress comes from having an overload or being trapped or pushed into a corner, we can’t see the end of the tunnel, but can’t go back either. Pressure is more of a choice when you are actively seeking to accomplish things. It stretches and challenges you and takes you to a higher level. In sports we push ourselves to our maximum capacity in order to win. In business, we plan, work, coordinate efforts and maximize resources to attain success. We put pressure on ourselves and others when we want to get something done that is valuable. Pressure may turn into stress, but in many of these situations we can read just our goals and even use a back door out of pressure situations if we want to. Living with pressure can give some benefits such as having a feeling of achievement which strengthens self-esteem and you will also learn to consistently take ideas and turn them into reality. As a conclusion; Life without pressure, is a life without progress. Living a productive life means we live a better life. It will take us out of an attitude of complacency and make us conscious of time. It will also make us responsible enough for our abilities and ideas. Being productive motivate us and give us confidence and hope. But the question is how to live a productive life? We can live a productive life by following simple steps; First, remember that we earn our way through life. Life is a gift and what we do with it is in our hands. Things don’t just happen, we must make them happen. The second step is to manage what we produce, then be efficient and lastly learn to be organized. Many people simply don’t know how to organize and they lose productivity. “As a man thinks” means the processing of thoughts. Our mind is one of our greatest assets, an amazing gift that no one fully understands, but we do know two things it does: it reasons, and it imagines. Proper thinking may leads us to enjoy a special way of living. As a human you are able to choose how you will live by the values and principles you select. You will enjoy self-government and self-control. When you filter your thoughts you are leading yourself. And lastly, your thinking will be based on sound logic while you are creating and building your life through values. Most of us desire prosperity, but there are many who believe that to be wealthy one must participate in corruption, they do not connect honesty and character with success. But what is true “Prosperity”? Prosperity is a reward of doing what is right through perseverance and effort. It takes courage and effort to have a prosperous life. To be prosperous, you should seek and pursue it. As with everything else in life, prosperity starts when you desire it and then do the right things to create it. Also, work hard to become prosperous and do not give in to laziness and stinginess. Be a producer and be patient. Always looking to get rich quick will steal your resolve to work hard and be diligent with the task at hand. Hard work over time will produce prosperity and satisfaction of a life well spent. At the end what matters most is to always look to progress in every area of life; relationships, career, health, spirituality, social life, learning and finances. That is true prosperity. Restraint helps us grow in our ability to analyze. When we learn to hold something inside of our mind and not allow it to spill out of our mouth it will make us good listeners and we will gain insight into people and situations. It is a discipline that is achieved through a steady and conscientious practice. To achieve it you should have a deep understanding of the power of your words, recognizing that you have the ability to bring pain or blessing through them. Practice being kind and use your words to build up. When we build someone up we receive something in return. Lastly, always remember that Words are very important because they remain in the minds of people. So be careful with your tongue, for your future depends on it. The ability to reason and the freedom to choose are what make people capable of being responsible for their actions. A responsible person can be trusted; they are dependable and accountable. It is not easy to find someone like this, but when we do, we notice that their motivation is different from others. Two things that motivate responsible people are responsibility in itself and the feeling of accomplishment. Some characteristics of responsible people are that they think long term, they do everything possible to make things better, and they are trustworthy. Being responsible gives us satisfaction when we do things because of the commitment we have towards ourselves and those who trust us. Other people see us as people of value. Trust is earned, and we are known to be reliable. Strong organizations are built by responsible people. They are focused on who they are, and the mission they are on. They are the support needed on which to build a great society. Saving develops patience, determination and persistence while waiting to make our purchases. Saving gives us time to think about the quality of our purchases, and to shop around for the best value. The discipline of saving also avoids impulse buying and buyer’s remorse. We appreciate the things we have and seek to preserve them to make them last longer. We are more grateful for what do have and less anxious to buy more. We evaluate our true needs, separating them from our wants, and then we are better able to prioritize them. We stick to our budget. We eliminate waste by repairing rather than throwing things away. We are at peace because we have money saved for emergencies. We plan ahead and are prepared for the future. Developing the habit of saving brings great value. It is not wrong for us to think of what we would like to have if we are controlled by a set of values. You will find winners and losers in every society and culture and in most cases the difference is in the values or principles they choose to follow. This principle of sowing has a lot to do with the future for us as individuals as well as the progress of our societies as a whole. There are several benefits in incorporating the principle of sowing in our lives, it allow us to see the potential in others because you will be looking for the good in them to sow into. You will see what that person can be and will sow encouraging words, ideas or even bless them with a gift to inspire them to reach out and be all they can be. We will also be inspired to do good yourself because while you are focusing on the future possibilities of others you will discover possibilities for yourself as well. You will get a good return on whatever you sow, if you are an inspiration to others, you will receive inspiration in return. It is sowing and reaping, whatever you give out will come back to you. It is not wrong to have a temper. It is actually the driving force in us and can be used to accomplish great things. Most entrepreneurs have a high temper that gives them the energy and drive to reach their goals and purpose in life. Temper is like gasoline, the higher the temper, the higher the octane or value. Both can be explosive and dangerous. If we are not careful to control the gasoline, it may burn our house down, but it can also be very useful and valuable. The value of understanding our temper is to avoid controlling or dominating others. High-tempered people have the tendency to bully their way to get what they want. Learning to value others is the key in developing controlled behavior. The fact remains however, that high-tempered people usually drive progress because they are seldom satisfied with the status quo. They are usually visionaries and see the world as it could be and work towards making it better. They are usually fearless and full of confidence. They view problems as simple challenges that need to be conquered. Why should we want to understand people? When we understand someone, we don’t judge them, and it is easier to forgive them. We may have felt the same way ourselves which helps us identify with them and in turn help them cope with their situation. We are more tolerant when we understand the underlying causes of the behaviour. This is important for business, family and all other relationships. Our basic needs are to be loved and appreciated, to feel secure, have a sense of belonging, and to experience a sense of achievement and self-worth. Keep these in mind whenever you deal with people, regardless of the situation. Understanding people will make our lives more peaceful because understanding the people in our lives will eliminate many conflicts and stresses. We will also be able to motivate and lead people to serve others. Knowing the strengths and weaknesses of people allows us to team them up effectively. Lastly, we will be able to place people according to their abilities. There can be disastrous consequences if we try to put people in a mold that doesn’t fit them. Any successful endeavour is accomplished by wise planning. And for our plan to be successful it must contain a vision; have a purpose and implement a strategy of how we are planning to achieve it. Without a plan our dreams will lay dormant. To have a good plan, we should have a clear vision. When you have a vision, you will be looking for all possibilities and your mind will be focused on the purpose. All your effort and energy will seek after that which you want. Vision is the foundation of planning. We should also explain the vision. The vision will then become your purpose. After you have a clear purpose, you recognize it as part of your daily life. Have a strategy and be realistic about your plan if it is achievable. Use common sense when considering the resources needed and maintain a good budget. Also, make sure your plan is maintainable after it is achieved. If you can’t maintain it, it will lose its value. Lastly, set realistic time frames during the week to be dedicated to the plan. Consider the effect it will have on your family and friends.